Catahoula Lake, a nationally recognized duck hunting spot long known as one of Louisiana’s most legendary waterfowling locations, might not remain open for public hunting following a late-December ruling from the state’s Third Circuit Court of Appeals. The next step to potentially maintain public access would be for the case to be appealed to the Louisiana Supreme Court, but it’s unknown now if that court would even agree to hear it. 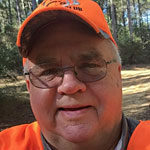 Louisiana Sportsman understands the state Attorney General’s Office could decide in about the next month whether or not to appeal the ruling that was handed down on Dec. 28 in favor of the property owners. Right now, it’s unclear when public access to the area might be restricted, pending the state’s decision to potentially appeal the ruling. The area in question, located in between the Red and Ouachita Rivers near Jonesville, covers 46 square miles when flooded. The U.S. Fish and Wildlife Service began managing water levels in and around the Catahoula Basin in 1972 after it was permanently flooded by a weir constructed on Little River — and it’s that very river that’s at the center of the case. Plaintiffs successfully argued that although it’s been referred to as a lake for decades, the area known as Catahoula Lake is actually Little River. Therefore, since it is a river and not a lake, it could be owned by property owners in accordance with Louisiana’s laws of riparian ownership. The December ruling, which upheld an earlier one by the Judicial District Court in Rapides Parish in 2017, not only potentially affects public hunting access — but it could prove costly for Louisiana taxpayers. The original court ruling in 2017 said the state now owes landowners $38 million in damages, as well as $4.5 million in royalties for oil and gas taken from the area the state held as public. More than a decade ago, landowners Steve and Era Crooks filed the class action lawsuit against Louisiana, claiming landowners surrounding the lake are the actual owners. The Judicial Court agreed in 2017 and ruled in favor of the Crooks’, saying the state had unlawfully expropriated the river banks. That ruling was just confirmed by the Appeals Court on Dec. 28, 2018. Attorney General Jeff Landry’s office couldn’t comment on ongoing litigation, but said the appeals court’s decision was under review and it was weighing options to determine the best interests of the state moving forward. Larry Reynolds, the waterfowl study leader for the Louisiana Department of Wildlife and Fisheries, said effects on waterfowl if the court decision is finalized — and water levels aren’t managed as they are currently — are unknown right now. 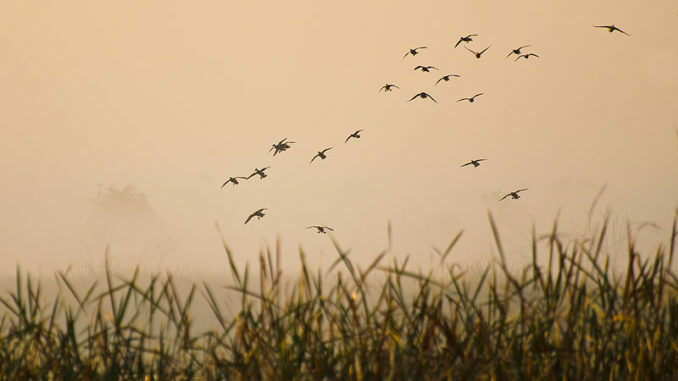 “Catahoula Lake is one of the most important early-season migratory bird habitats in the Mississippi Flyway, and it is a high priority habitat for LDWF. Counts of waterfowl there are included in the long-term aerial survey monitoring, and it attracts thousands of hunters from across the country. I can’t think of a more important habitat for ducks throughout the season in the Central Louisiana region, as it provides both an outstanding food resource in most years, and roost sites for birds using adjacent habitats,” Reynolds said. “We have no firm estimates of how many unique hunters utilize Catahoula Lake each year, but in general, there are about 500 blinds on the lake.